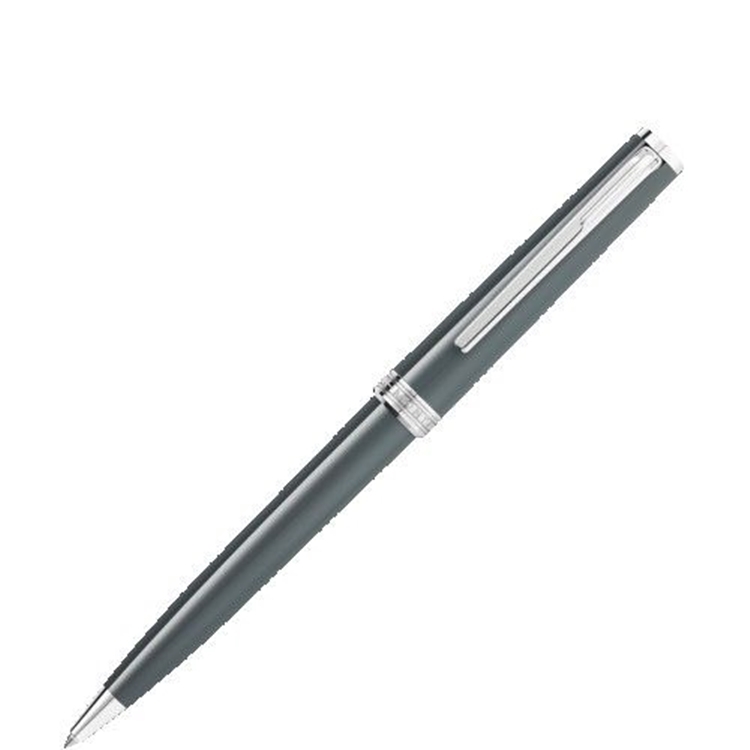 Montblanc Pix Gray Ball Point with platinum attachments. Inspired by the Bauhaus architecture movement and named after the historical PIX trademark, this writing instrument offers a puristic design and a high simplicity of use. Gray precious resin cap and barrel with elegant platinum-coated details.